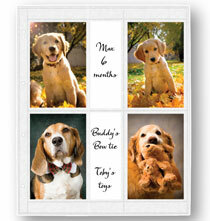 Mylar® acid-free large sheet protectors are a great way to protect photos and flat memorabilia. Both Mylar and our heavy paper are archival. I use these to scrapbook. Really Nice Pages. The Best! I love these pages. Nice clear stiff mylar with no rippling. The heavy, sturdy ivory colored pages make for a very dignified display of my autographs. Better than I expected overall. No compaints or negatives. I uses these Pages for my Vacation Photos. They hold many photos and other Memorabilia from the trip. Could not find the over sized pages locally, easy to order and received the pages very quickly. They are sturdy pages and fit the album perfectly. We proudly display all of our vacation and family photos and love the bragging rights they bring! I use these pages with oversized photo albums. I like the pages without pockets. I can arrange photos any way I wish, and mix sizes. these will be heirloom gifts for my grandchildren. they love looking at their baby pictures. it is all about making memories. I enjoy making combination scrapbook/photo albums, and these oversized pages, in the oversized albums, allow me to make interesting and creative displays that show a lot on each page. I am getting back into scrapbooking after many years. Several of my old books are 12x14 & most current scrapbbook products are all for a standard 12x12 scrapebook or smaller. I searched everywhere to find 12x14 page sheet protectors, but only found them at Exposures. I did have to punch other holes in them to fit the posts, but that was easy to do. 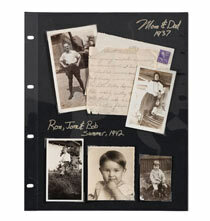 I use these pages for photo albums and items of historical value. I find these pages more difficult to use than the prior pages offered that were stickier. This is what I have used for years! The pages make great photo books. Purchased the same product before and was very happy with results. 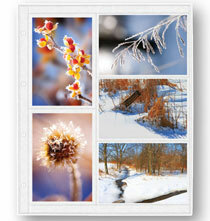 These pages are great for making photo books. I am resorting photos and wanted excellent quality photo pages to place in the oversized photo album purchased from Exposures. they are great for my scrapbooking hobby. Fit my exposure albums, archival, continuing with the same item for my daughter's scrapbook. Looking to put together an album of Army photos...wanted pages that wouldn't harm the pictures. Now I need a reasonably priced leather bound album to hold the photo pages in. 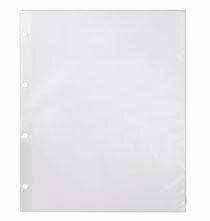 Need over-sized protective pages and like the ivory color. I've created over 75 ( 25 page albums ) during the last 13 years, all with the use of your products. Provided more flexibility and is compatible with other albums we own. I chose these sheet protectors for my collection of New Yorker magazine covers. A lovely way to preserve and display them! Looks great in my book! I prefer the Ivory over the white. I have several packages of ivory on hand and wanted a few more. 4 ring sheets let me keep the memories of my many trips worldwide. Love that I can put tons of different things in these, such as a copy of my daughters birth announcements overtop of the custom lined envelope and make it look artsy. 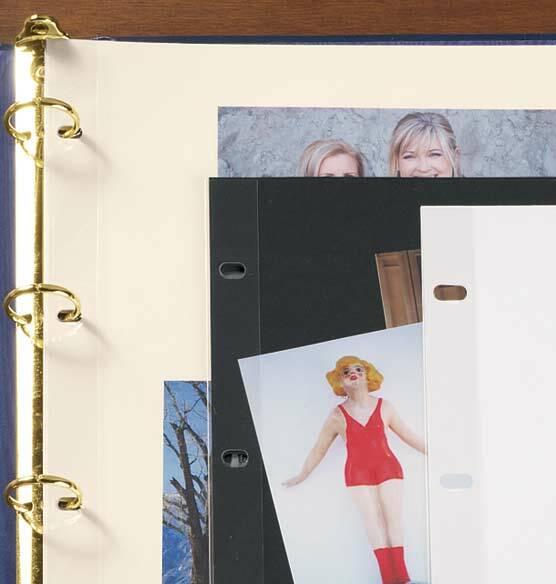 Great pages for making photo books. Commited to these pages; been organizing albums since 2005. Have purchased close to 2000 pages during this time. If I wasn't commited, I would no longer purchase after your latest 30% increase in price. adding to others i already have . Pages work beautifully in the book and make the book enjoyable and looking the same year after year as first it was completed. This is what's available for the album. I suppose I should but I don't use the mylar. I have 80 years' worth of family clippings and use the 4-ring Presidential albums. I need extra pages. Do you need to have extra adhesive or will the pics just stick to the page? BEST ANSWER: These sheet protectors are separateable from the sheets themselves . There is no adhesive on the sheets which is imp[ortant for long term protection of the photos. 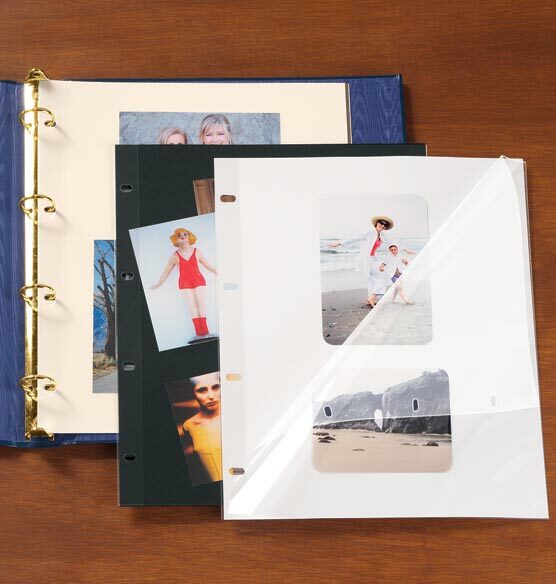 I use pressure sensitive self adhesive mounting squares sold by Pioneer Photo Albums Inc. of Chatsworth , Ca. They work very well and are acid free, which is important. In my opinion, you need to use a glue stick with a light touch. Otherwise, with use, I find the pictures slipping around. But I also FILL the pages with pictures and have very little space showing between them. However, I have over 25 filled albums so have vast experience, too. You need an adhesive. Pics won't stick to the page. Can photos be inserted on both sides of a page? BEST ANSWER: You have asked a simple question and I hope I can answer it in a simple way. The ivory insert is not bound into the clear protector so you can remove the ivory sheet and adhere to both sides whatever you wish and then put it back into the clear protector. I have two albums with these type pages and I am very pleased with them. They really look classy. I hope I have answered your question. If not let me know and I will try again. I have 60 sheets of Album Ivory Inserts for Exposures four-ring albums. Can I just purchase 20 Four-Ring Sheet Protectors? BEST ANSWER: Thank you for your question. The Mylar 4-Ring Sheet Protectors with Ivory Insert are sold in sets of 10. If you would like 20, you would need to purchase two sets. We hope this information will be of help to you. I'm sorry--I did not make my question clear. I HAVE the ALBUM IVORY INSERTS. I was wondering if I could purchase ONLY THE SHEET PROTECTORS. I was hoping that Exposures would sell me ONLY THE SHEET PROTECTORS AT A REDUCED COST since I already have the INSERTS. I would want to purchase about 30 of the SHEET PROTECTORS. I've never bought them that way and I'm guessing not only because I think the expensive part is the mylar cover. Only guessing. I think you would have to get someone on the phone for this one. actually i don't know. the sheet protectors i bought came with the ivory inserts. How many pages in 14.95 pkg? BEST ANSWER: 10 pages when I bought them. Have used these for several years and really like them. Can fit any size photos on them. what is the most number of 4x6 photos that you can fit on one page? BEST ANSWER: Three horizontal and two verticle prints. The photo shows both black and ivory inserts. Is the black available? BEST ANSWER: Thank you for your question. The black has a different item number, 339949. We hope this information will be of help to you. please explain "photo-safe adhesive". does this need to be ordered separately? BEST ANSWER: Thank you for your question. Yes, the adhesive is sold separately. Examples are glue dots, glue, photo corners, ect... We hope this information will be of help to you.